For some, the first sign of spring is the sound of birds singing. That may be a beautiful sound, but for a select few, the sound that signifies the actual start of warm weather is the sound of heavy machinery starting up. If you run a construction company, you’ve reached the beginning of the busy season. It can be a time of great opportunity, but running a construction company requires organization and logistical knowledge. You want the job done as efficiently as possible, and that means being able to get your equipment to the work site and if possible keep it there. A.B. Richards can help make that happen. You always hear it. Experts always say that your home is your most important investment. But you only cash in on that investment when you sell it. That’s why you need to make certain you can maximize your home’s for sale price. There are many things you can do to enhance the value of your property over time, but once you’ve put it up for sale, you have one final chance to boost your return on investment. You need to make certain you stage your home effectively. A.B. Richards knows that staging a home can be complicated. You may need to rearrange and even do quick renovations. A.B. Richards will keep you organized while you reshape your home. When you’re selling your house, your life will be in upheaval and A.B. Richards can make things easier. We’ll give you the portable storage containers you need, and if you’re preparing for home staging. We can provide you with a 20ft Storage Container that can be delivered on most residential lots. 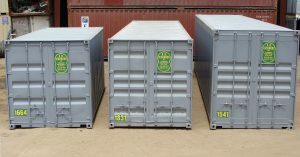 We also know that you may need ground level storage containers for a lot of other reasons. You can use it to store records and inventory on your commercial property. To secure equipment at a construction site, you can use our 40ft Storage Containers or our 40ft Jumbo Storage Containers which have an extra foot of headroom. A.B. Richards wants to make life more convenient for you, so we want you to know some tips about staging your home. The real estate website Trulia lays out some of the basics of home staging. They cite statistics that show that 49 percent of buyers’ agents believe staging affects their clients’ view of a home, while 77 percent of buyers’ agents say staging makes it easier for potential buyers to visualize the property as theirs. Raising your blinds and opening your curtains to bring more sunlight in. Adding overhead lights and mirrors. Setting up your most important rooms first. You may be asking; how do I know which rooms are the most important to focus on for my home staging? According to the Profile of Home Staging from The National Association of Realtors, their findings showed buyers felt that staging the living room was the most important. This was followed closely by the master bedroom and kitchen. 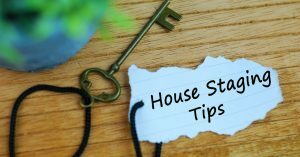 HGTV has a list of “don’ts” to keep in mind when staging a home. Point out things like a leaky foundation. Leave any home projects like do-it-yourself jobs unfinished. 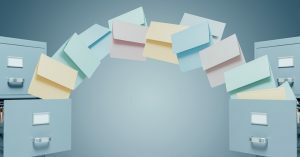 Leave papers like bills out in the open. Forget yard work. If the interior of your home is pristine, the exterior should be too. If you’re staging your home, you never know when you’re going to get the offer you’re looking for. It may take a while and you need to stay organized while your home life is being disrupted. A.B. Richards will deliver your portable storage container to wherever you need them. To learn more, contact us today. There are many things that go into leading a successful business. You need to be able to provide superior products and services. You also need to understand your customers and your market. At A.B. Richards, we know a successful business needs to grow and expand. If there is one word that goes to the heart of what we do at A.B. Richards, it would be convenience. We’re in the business of renting ground-level portable storage containers and we make certain that they’re easy to obtain. A.B. Richards has locations throughout the northeast. [Read more…] about Who Uses Portable Storage Containers? 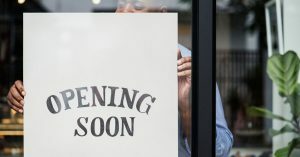 Renovating a store or retail business can be a very exciting prospect. It can also be a very scary one. Renovations allow you to update your business, modernize and have better control of your retail space. But at the same time, a renovation will at the very least disrupt and often temporarily close your business. You want any renovation to be done quickly and efficiently so you can get back to business before running up too many expenses. 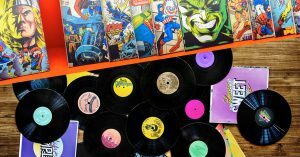 One important issue to consider while undergoing a renovation is having a place to store your inventory, furniture, equipment, and records. If you are in need of extra storage during a store renovation, you need A.B. Richards. You may want to hibernate this winter, but life isn’t going to let you. Winter weather can be annoying and sometimes makes it difficult to get where you’re going. You will have needs for your home and business no matter what season it is. Sometimes you’re going to need A.B. Richards storage more in the winter than at any other time of the year. Let us tell you why. 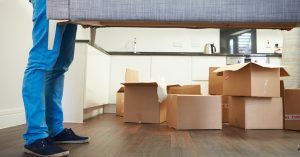 Moving can be a happy day for some and stressful to many, but very often we get hung up on the logistics of a move and we forget some very important considerations. 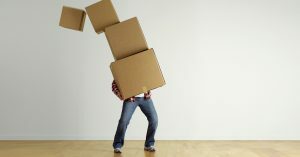 In addition to getting your items to a new location, you also want to get them there in one piece. That can mean making certain you have a path cleared between your home and your A.B. Richards portable storage container. This may mean moving your car or truck out of the way. Another thing to keep in mind is to make certain your items, particularly the heavier ones, are lifted properly so you won’t get hurt. Excelsior! It’s a great word, isn’t it? It’s usually translated to mean “higher,” “ever upward” or “onward and upward” and it’s the motto of the state of New York. A.B. Richards has its headquarters in the Empire State, and we think the motto captures the ambition and work ethic of our state. 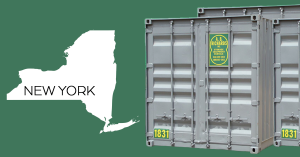 We pride ourselves on having locations throughout the northeast and being able to deliver our portable storage containers to wherever you need them. We want to spotlight the many areas that A.B. 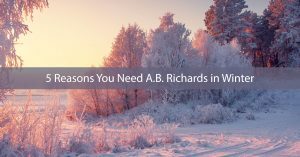 Richards serves our customers and where better to start than in our home state of New York? So, we’re a few weeks into the year, and we’re betting more than a few of you have broken your New Year’s resolution. That diet may have gone by the wayside and you may not be exercising or sleeping enough, so maybe it’s time to try new tactics. Instead of doing something that doesn’t get you excited, why not do something you love? January is National Hobby Month, and it’s the perfect time to find a new passion or renew an old one. When you run a business, every decision counts. Your organization needs to be lean and careful about costs. But you also must be able to deliver what your customers and clients need as quickly as possible. Sometimes cost-cutting and delivering for the client can clash but that doesn’t have to be. When you trust A.B. 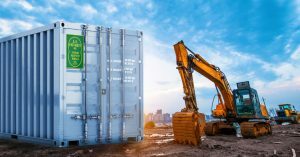 Richards to provide your business with durable, ground-level portable storage containers, we’ll save you money on storage costs and we’ll also provide you with the convenience you need to satisfy your customers.